When your cruise ship docks at the Montreal port, your guide will be waiting for you nearby at Notre-Dame Basilica to take you on a walking tour of this great city. 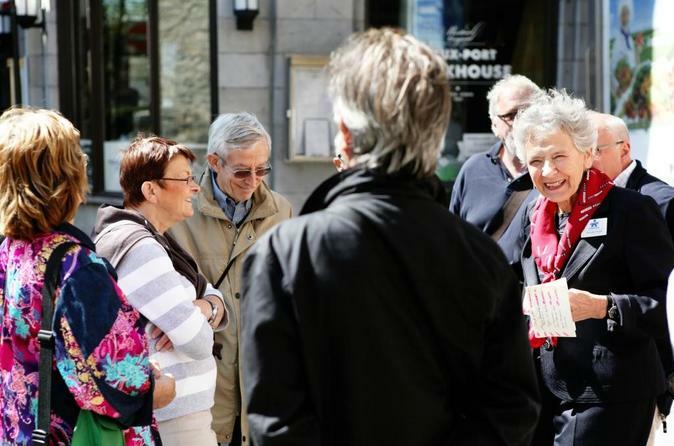 Learn about Montreal's history, culture and architecture as you stroll through Old Montreal and past sights such as Champs de Mars, Notre-Dame Basilica, Place Jacques-Cartier or City Hall, all while relishing the quaint French atmosphere and hearing interesting anecdotes from your guide. You can choose to tour the east or west side of Old Montreal on a 1.5-hour tour, or tour both the east and west sides on a 3-hour tour. This excursion is located within a 10-minute walk to the cruise port, so you determine the time you return to your ship in Montreal. Please allow yourself ample time to enjoy the excursion and ensure your timely return to the port. This excursion is not covered by our worry-free policy.